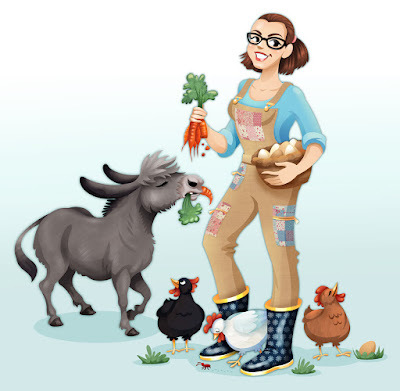 Here is a pinup caricature for Candice - who has a Facebook page called "Stories of an Unlikey Farmer". I did this pinup for her featuring her lovely donkey friend and some of her chickens. And I designed this lovely banner for her page using the elements from her pinup!